It's time for another Christmas Card Challenge. 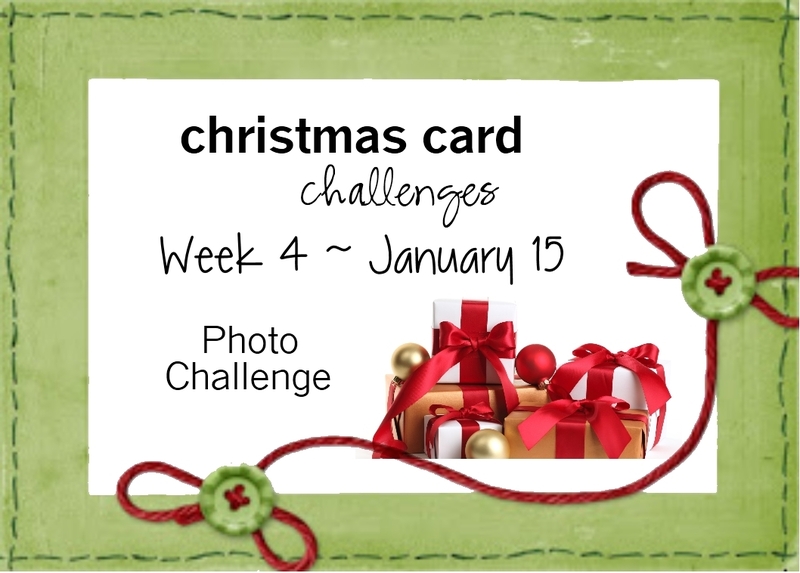 This time we have a Photo Challenge. There's no time like the "present" to get started on your cards for next year. I can't wait to see what you create. For my card I used gold foil papers by Craft Smith from Michaels from a stack called Gold Gifts. I was inspired by the colors in the photo. 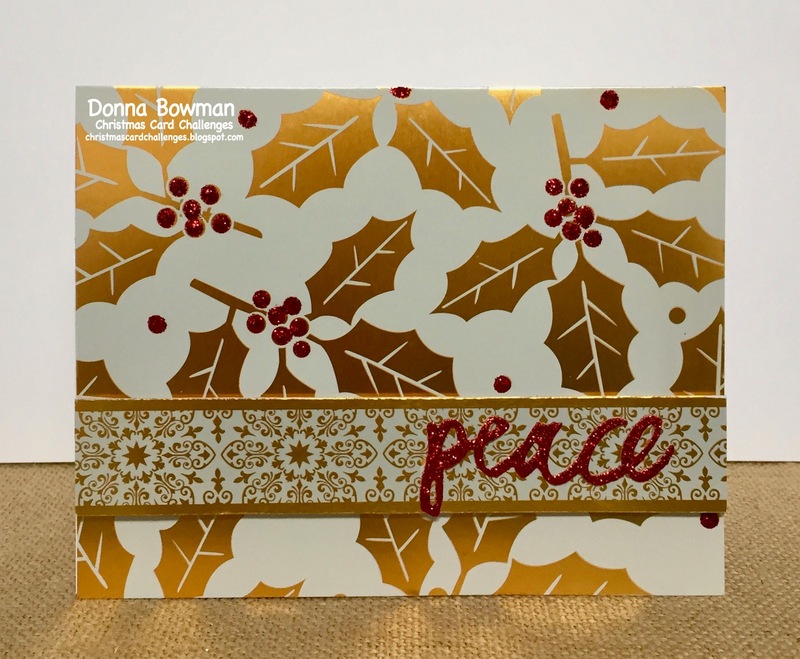 I added some Xmas Red Stickles to the gold berries and I die cut the word peace in red glitter paper. The peace word die is from Papertrey Ink. This was a fun and easy card that would be perfect for making in multiples. Thanks for stopping by!! I always love the elegance of gold, but on Christmas cards it is divine! Gorgeous! I love the gold foil with that red sparkle! WOW! This card makes the most of those gorgeous papers and I love the accents of red. WOW, Donna, the gold foils make an extraordinary card!